The Russian government condemned Israel for the bombing of a Syrian government base on Monday, denying the apparent chemical weapons attack which prompted the bombing. In a pre-dawn strike, a pair of Israeli F-15 fighter jets flew over Lebanon before crossing over into Syrian airspace, Russia claimed Monday. The two Israeli Air Force jets struck targets at Syria’s T-4 airbase, killing 14 people according to the Syrian Observatory for Human Rights. Initial reports indicated that at least some of the dead were Iranians. 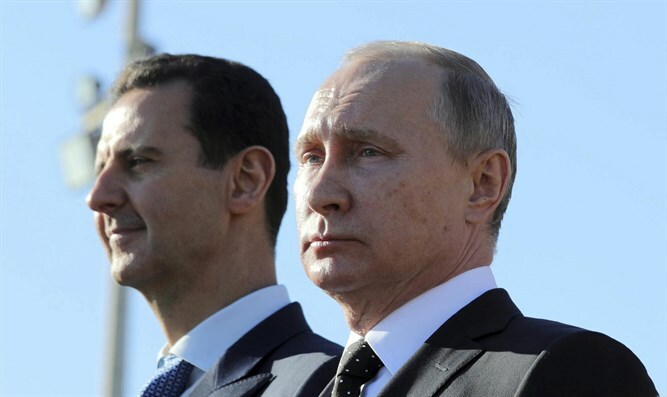 While Israel has not confirmed its involvement in the attack, the Kremlin blamed the Israeli Air Force for the bombings, after the Syrian government accused the US of launching the attack. The Pentagon denied Syria’s claims, stating that the US military has not taken any action against the Assad regime since a sarin nerve gas attack in the city of Douma, east of Damascus, over the weekend killed dozens of civilians. Some estimates placed the total number of dead at 150, while other reports range from 60 to 80 dead. On Sunday, President Donald Trump warned the Syrian government it would pay a “big price” for the suspected chemical weapons attack. President Trump also condemned the Iranian regime and the Putin government for their support of the Assad regime. On Monday, Russian Foreign Minister Sergey Lavrov hit Israel over the raid on the Syrian airbase, saying that the situation is at risk of “becoming too dangerous” with “actors whom nobody invited” getting involve inside Syria. Kremlin officials said that no Russian advisers present at T-4 at the time of the attack were injured in the airstrike. President Vladimir Putin’s spokesman, Dmitry Peskov, said Israel did not inform Russia of the planned attack, calling Israel’s actions “a cause for concern”.